Are you interested in putting an ad in the 2019 JU Recital Program? Now is the time! 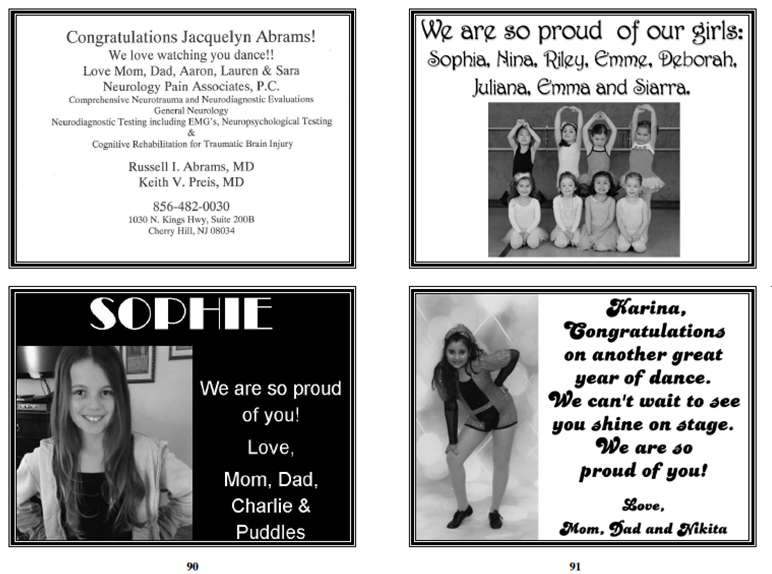 The space is yours to put pictures of your dancer, messages or business ads! Get together with other dance families and split an ad! Ad space is limited. Ads will be accepted on a first come, first serve basis. Download the 2019 JU Recital Program Ad Form! Click here for example ads.